Advances in Child Development and Behavior is intended to ease the task faced by researchers, instructors and students who are confronted by the vast amount of research and theoretical discussion in the field. The serial provides technical articles and a place for the publication of scholarly speculation. In these documented critical reviews, recent advances in the field are summarized and integrated, complexities are exposed and fresh viewpoints are offered. About the Editor: Janette B. Benson, Associate Dean, Morgridge College of Education and Associate Professor, Department of Psychology, University of Denver, USA. 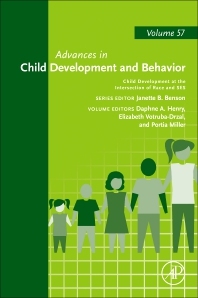 To view individual chapters for Advances in Child Development and Behavior, please visit Science Direct.